Corner of the book is bent. 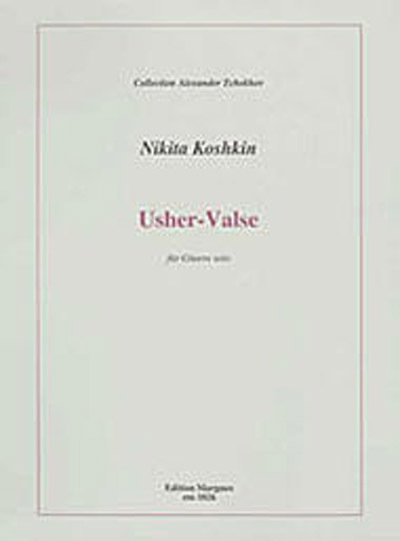 Nikita Koshkin - Usher-Valse. For Guitar (Classical). Solos. Edition Margaux. Classic. Intermediate. Book. 10 pages. Published by AMA Verlag (EM1026). A concert piece written by Russian composer Nikita Koshkin in 1984 which was inspired by Edgar Allen Poe's short story, "The Fall of the House of Usher. ".